PST files are created and used by Microsoft® Windows based Outlook Application. PST File Viewer not only a viewer that can help you to open and view .pst files without Outlook on the Mac computer, but also a converter let you convert your mails, contacts and calendar events from PST files to common standard formats[EML(.eml),vCard(.vcf),iCalander(.ics)]. 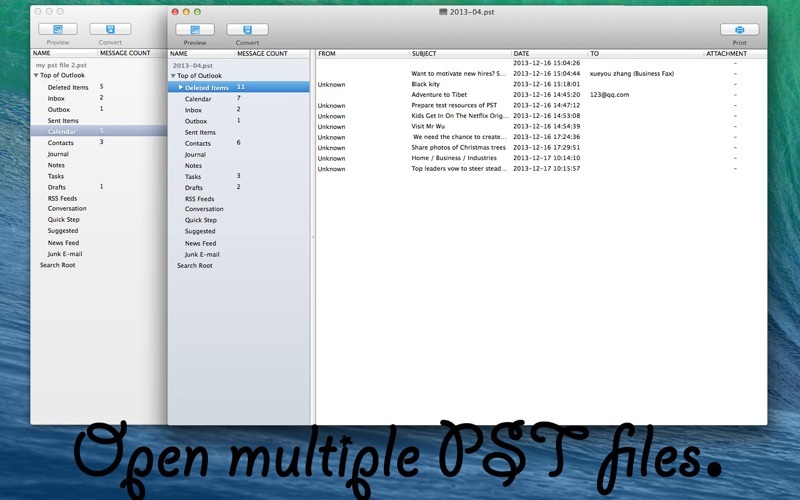 -----Quickly open and view .pst file contents without MS Outlook on Mac. -----Could open and read all contents:calendar,contacts,notes,tasks,drafts etc. the PST file included. -----Could open a password protected .pst files. -----Could support Western European (ISO) encoding PST files. 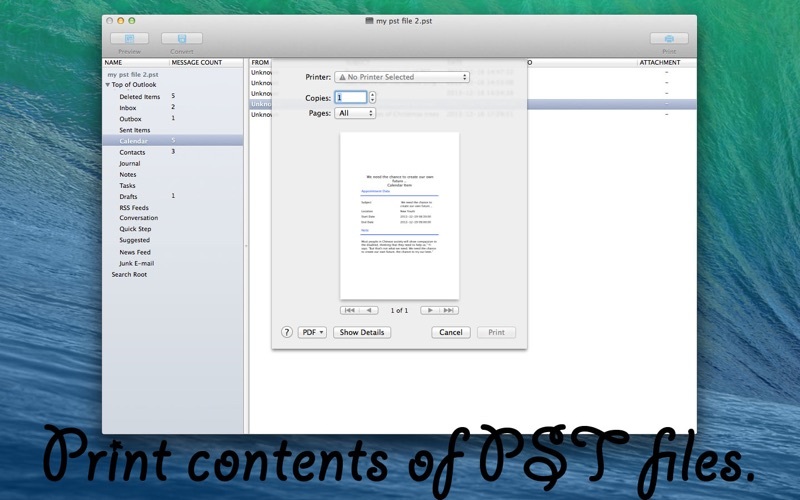 -----Could extract embedded pictures and file attachments from emails in the PST file. -----Convert your mails from Microsoft Outlook PST to eml format (.eml),which can be easily opened with or imported into programs like Apple Mail,Microsoft Entourage. -----Convert your address book in Outlook PST file to standard vCard format(.vcf),which can easily import by system's Address Book,Microsoft Entourage and other programs. 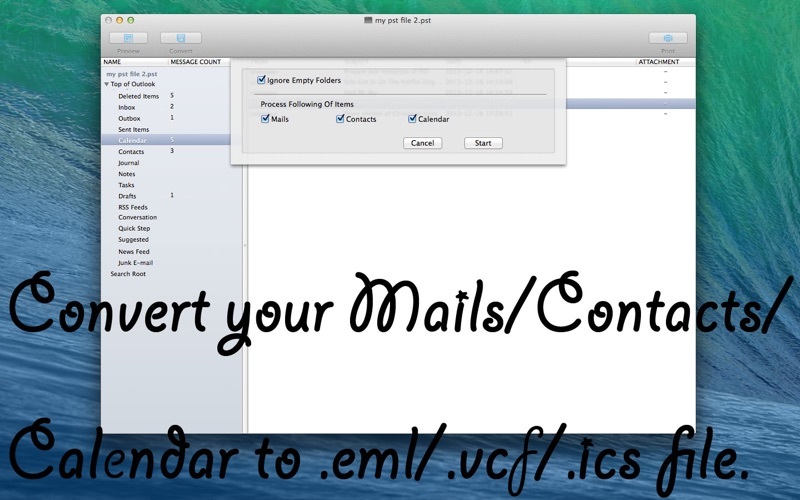 -----Convert your calendar Events Outlook PST file to standard iCalander format(.ics).